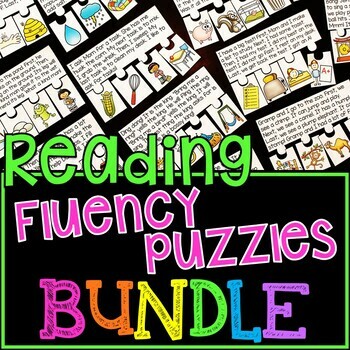 Reading fluency passages puzzles bundle: Reading fluency made fun with this bundle of all my reading fluency puzzles! 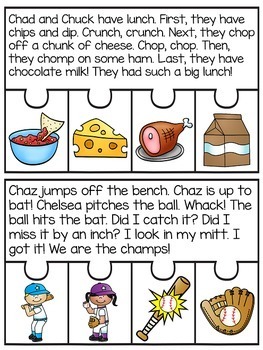 Students read the story and put the events of the story in order to practice sequencing to complete each puzzle! Save over 20% by buying these in a bundle rather than individually! 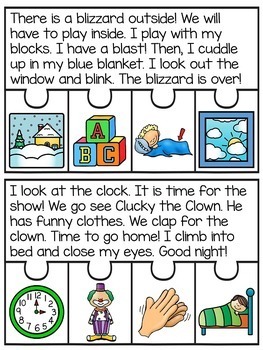 Added 2-9-16: I added black and white versions of all of the puzzles!! If you already have this, redownload to get them. :) They're great for students to glue into their notebooks and highlight or circle the focus sound in the passage, color the pictures, put them in order, etc. These are a lot of fun and make fluency more of a game. 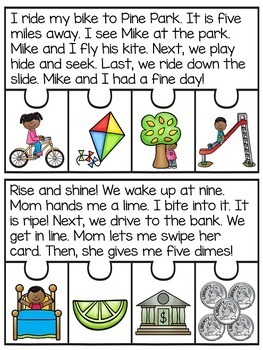 Students have to comprehend what is going on in the story to sequence it so it provides great reading practice for several skills (phonics skills, reading fluency, comprehension, sequencing, etc. )!